EDS has worked on several LEED projects and has one of the highest numbers certified buildings to its credit for any consulting company worldwide. These include Platinum + Pre Certified Platinum (41), Gold + Pre Certified Gold (59), Silver + Pre Certified Silver (15) and Certified (2). The team has experience in LEED, GRIHA, Eco – homes and IGBC (Green Homes, Factories, and Townships) rating systems. EDS has collaborated with leading urban planners, waste and water management experts in designing sustainable urban campuses and townships. Our approach focuses on minimal habitat disruption, minimal ecological impact, and sustainable infrastructural and resource planning. More information on specific projects can be found on the projects page. 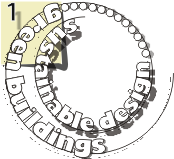 Software designed by EDS has helped architects, engineers, building owners, and operators in designing and operating more sustainable buildings. Experts at EDS have designed analytical tools which are used extensively by reputed institutions worldwide for policy analysis, building thermal comfort and energy end use analysis. We also design interactive software to inform occupants about the impact of their behaviour and lifestyle choices on the sustainability of their workplaces and homes. Under our Professional Development Program (PDP), experts provide training to professionals and students on green building design principles, and building energy performance analysis using state of the art simulation software tools. EDS also collaborates with academic institutions, industry associations, corporate houses, and government agencies to organise workshops to raise awareness about green technologies, sustainability principles, green building rating systems, and energy codes. Our research is oriented towards affecting energy efficiency in the built environment. EDS has conducted comprehensive quantitative and qualitative market studies to assess the current market scenarios for eco-friendly, low energy, and energy efficient materials and technologies. EDS has also authored multiple energy efficiency best practise guidelines and handbooks for practitioners and end users. EDS has successfully developed climate change policies and energy efficiency building codes for various countries. Our expertise is in policy frameworks for Greenhouse Gas (GHG) mitigation, HCFC phase out, affordable housing policy, energy efficiency finance, Net Zero Energy Buildings, and standards and labelling programs. EDS has been a part of the development of several green building rating systems, including LEED India, GRIHA, and Eco-Housing Assessment Criteria. EDS founders were a part of the core team that developed the Indian Energy Conservation Building Code (ECBC). Rating systems for Philippines, and building energy codes for Sri Lanka, Thailand, Vietnam, Guam, California (US) and Cyprus were also developed by EDS team.